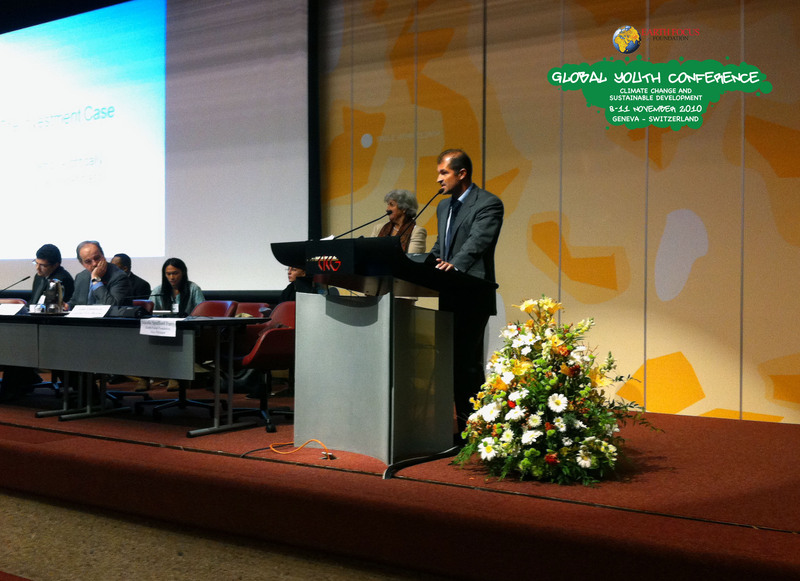 The Earth Focus foundation, continuing the work with young people started within the renowned Bellerive Foundation, organized the World Youth Conference (8-11 November 2010), in Geneva. The conference welcomes young people from all over the world to contribute to the subject of Climate Change and Sustainable Development. Stands from many of those organizations were present on site, to expose and promote their activities, give information and testimonies of their actions, and initiate discussion with the conference attendees. The conference started with encouraging words from the Earth focus foundation and a message from the Geneva Authorities. The audience had the privilege to attend very interesting presentations completed by questions and answers with the panel. 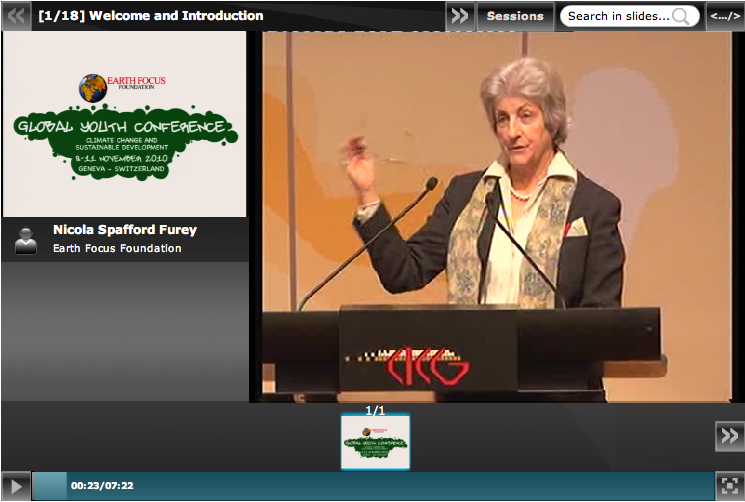 You can view the webcast of the whole conference by clicking here. The themes of the day were “Education, Youth and Civil Society” and “Nuclear, Clean and Renewable Energies”. After a presentation by Antony Hequet, Jon-Hans Coetzer, General Manager and Academic Coordinator of the Geneva School of Diplomacy & International Relations, introduced several presentations from students of the Koc School, Turkey, on the topic of education, youth and civil society. In the field of climate change and biodiversity, students from the Collège André Chavanne, Collège du Léman, Collège Rousseau and the Koc School have presented their work which led to intense debate and discussions. During the morning, Noé 21 and ItsOneHumanity presented films and Philippe de Rougemont animated a workshop and debate. Following the proposition of Prince Frederick von Saxe-Lauenburg, a 1 minute silence commemoration in memory of the First World War armistice was made at 11am, the 11th of November. A message from Jean-Paul Moka (viewable below), from Congo, was shown to the participants which had the opportunity to comment and respond to. The conference ended up with voting on a clear message to negotiators at COP 16 in Cancun and a walk to Place des Nations to deliver the message to United Nations, World Meteorological Organization, Intergovernmental Panel on Climate Change and World Trade Organization.